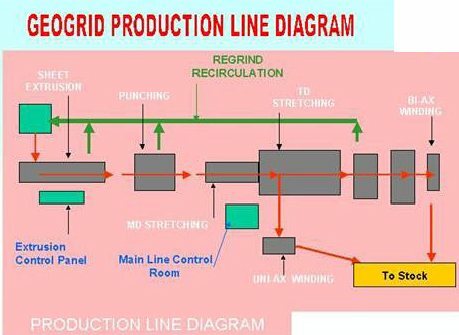 The first fully integrated production line for the manufacture of geogrids. 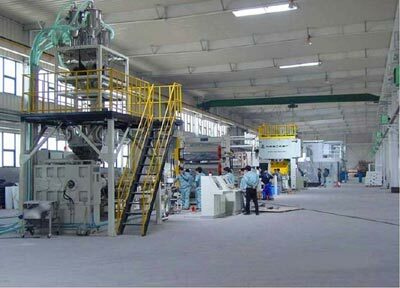 A view of the production line from the sheet extrusion end looking towards the punching section. 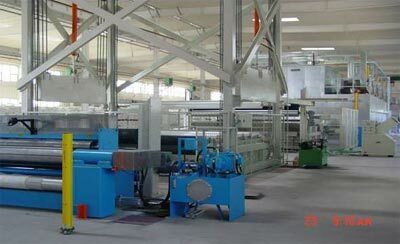 Another view from the winding machine looking towards the transverse stretcher and the accumulator for finished product.